Yesterday I submitted my formal comment on FHFA’s June proposal for Fannie and Freddie capital. Comments aren’t due until November 16, but I wanted to get mine in earlier to give others the opportunity to read and evaluate my arguments as they prepare their own submissions. My FHFA comment is half again as long as a typical blog post, but I decided against doing just excerpts of it here, since I believe it needs to be read as a whole. To make the length more manageable, however, I’ve put what I think are my most important points in italics. These italics do not appear in the original, which can be accessed and downloaded from FHFA’s website, here. I am pleased to offer this comment on the proposed rule from the Federal Housing Finance Agency on “Enterprise Capital Requirements,” issued in June. During my 23 years as a senior executive at Fannie Mae I had responsibility for mortgage performance analysis and the determination of capitalization and target guaranty fees for the company’s single-family credit guaranty business. I worked with former Federal Reserve Board Chairman Paul Volcker to develop the original risk-based capital standard for Fannie and Freddie adopted by Congress in the Federal Housing Enterprises Financial Safety and Soundness Act of 1992. On March 6, 1990, Volcker sent a letter to Fannie’s chairman David O. Maxwell, summarizing his work on and views about Fannie and Freddie capitalization, including his strong opinion that bank capital standards were not appropriate for and should not be applied to Fannie and Freddie. I did not keep my copy of the “Volcker letter” when I left Fannie, but the company will have the original. I highly encourage senior FHFA officials to ask for a copy of this letter and to read it carefully; it contains much wisdom and valuable insight for the exercise FHFA currently is undertaking, from an individual who at the time was the most respected bank regulator in the country. I also would encourage FHFA to seek the analysis and comment of people on the finance side of Fannie and Freddie, who will have an understanding of the practical realities of the proposed new capital standard. Fannie and Freddie are not banks. They deal only in a single asset type, residential mortgages, and with the restrictions on the size and purpose of their portfolio holdings imposed by Treasury during their conservatorships they now essentially take only one type of risk, mortgage credit risk. In the 20 years before the 2008 financial crisis, the average credit loss rate at Fannie and Freddie was a mere 4 basis points per year—one-twentieth the average 82 basis-point credit loss rate at FDIC-insured banks over the same period. Even with Fannie and Freddie’s post-2007 credit losses their average 1988-2017 credit loss rate of 14 basis points is just one-sixth the 84 basis point loss rate of the banks over the comparable period. And if you adjust the companies’ 2008-2017 losses to exclude the loan products and risk features they no longer are permitted to finance (as FHFA does in its own analyses), the companies’ 1988-2017 average credit loss rate falls to 8 basis points—one-tenth the comparable average loss rate of commercial banks. FHFA has devoted considerable time and effort to understanding the features of the Basel III bank capital regime—which at best is only tangentially applicable to Fannie and Freddie—and then attempting to incorporate them into its capital proposal. Yet incongruously FHFA seems to have spent less time and effort on understanding the unique dynamics of the novel asset-level risk-based standard it proposes to apply to the two companies it regulates. FHFA must use original loan-to-value (LTV) ratios for calculating capital required by the single-family risk-based standard, as the 1992 regulation did. FHFA’s proposed use of current value, or “mark-to-market,” LTVs would be extremely destabilizing to the companies and the financial system as a whole. FHFA must revise its proposed capital standard to eliminate inconsistencies in the relationships between the risk-based capital standard, the minimum capital standard, loss reserves, excess capital, and prompt corrective action authority. The framework for FHFA’s proposed single-family risk-based standard must be clarified and simplified, and its redundant and excessive conservatism removed, to avoid adding unnecessary costs to Fannie and Freddie’s credit guarantees. FHFA’s proposed capital relief for securitized credit risk transfers (CRTs) is incompatible with the mechanics of the risk-based capital standard, and if not changed will weaken Fannie and Freddie’s abilities to withstand credit stress. FHFA properly asks in Question 3 whether it should reconsider its choice of using current loan-to-value (CLTV) ratios instead of original loan-to-value (OLTV) ratios in its single-family credit risk-based capital standard. Not only should it reconsider the use of current LTVs, it must do so. The main idea behind Fannie and Freddie’s 1992 risk-based capital standard was that the companies at all times must hold sufficient capital to withstand a defined adverse credit environment. (The original “Volcker stress standard” was losses on loans originated in 1981 and 1982 in Texas, applied to all years’ business originated in all states; this was modified, and made more general, in the final legislation). The capital required to meet this stress standard was determined using OLTVs, so it was unaffected by whether home prices were rising or falling. No matter where home prices were, Fannie and Freddie always had to be able to protect against the defined stress environment, calculated on the OLTVs of the books they had at that moment. There were, and continue to be, two critically important reasons for using OLTV and not CLTV ratios in a risk-based capital standard: the first economic and the second systemic. The economic reason relates to pricing. Fannie or Freddie set guaranty fees on pools of loans based on their administrative expenses, the credit losses they expect from these pools, the capital they are required to hold against them, and their target return on capital. At the time of pricing their required amount of risk-based capital based on OLTVs is known, while capital based on CLTVs is unknowable, as it can change over time unpredictably. With a CLTV-based capital standard Fannie and Freddie would have to guess at their required pool capital when setting guaranty fees, leading to inefficiency and adding more cost to the credit guaranty process. The systemic reason for using OLTVs in a risk-based capital standard is even more important. While OLTVs are relatively stable over time, CLTVs can and do change quickly and markedly, and in the opposite direction of home prices: when home prices are rising CLTVs fall, and when home prices are falling CLTVs rise. Basing Fannie and Freddie’s risk-based capital on CLTVs perversely would require them to hold their smallest amounts of capital when home prices are nearing their peaks (and thus most likely to fall, leading to increased credit losses), and to hold their highest amounts of capital when home prices are bottoming out (and thus about to begin rising again, leading to fewer losses). We don‘t have to speculate about the impact a CLTV-based capital standard would have on Fannie and Freddie in a crisis; we can illustrate it using FHFA’s proposed capital numbers for a single-family mortgage with a credit score between 680 and 699, together with Fannie’s CLTV and OLTV data from year-end 2006—shortly after home prices reached their peak—and year-end 2011, near their subsequent trough. At the end of 2006 Fannie’s $2.38 trillion in single-family conventional mortgages had an average OLTV of 70 percent and an average CLTV of 55 percent. The “look-up” tables in FHFA’s proposed capital standard for loans with a 680-699 credit score would have resulted in 262 basis points of required capital using Fannie’s OLTVs, but only 165 basis points of capital using its CLTVs. Shifting forward to year-end 2011, Fannie had a somewhat larger book of business, at $2.76 trillion. That book’s average OLTV was up one percentage point from 2006, to 71 percent, but its CLTV had soared 24 percentage points, to 79 percent. Again using FHFA’s look-up tables, required capital on Fannie’s loans with 680-699 credit scores would have increased by 23 basis points over the five-year stress period under an OLTV standard, from 262 to 285 basis points, while under a CLTV standard required capital for the same loans would have nearly tripled, shooting from 165 to 438 basis points. An increase in a credit guarantor’s risk-based capital requirement during a time of stress of 23 basis points is manageable; an increase of 273 basis points decidedly is not. (On Fannie’s December 2011 book, that would have been a difference between an extra $6 billion and an extra $75 billion). To stay in compliance with no change in required capital during a severe loss scenario, credit guarantors already will have to use up their excess capital, draw down their loss reserves, and tap the markets for new equity at a time when investors understandably will be reluctant to supply it. It would be virtually impossible for them to raise the massive amounts of additional equity required by a CLTV-based standard. And even were it possible, this capital would become superfluous almost as soon as it was raised, as the last cycle showed. With rebounding home prices, the CLTV on Fannie’s single-family book at the end of 2013 fell to 67 percent, dropping the required CLTV capital on 680-699 credit score loans to 285 basis points—less than it would have been under an OLTV standard. The economic and systemic arguments against using CLTVs to determine Fannie and Freddie’s risk-based capital requirement are overwhelming, and there are no good substantive arguments in favor of it. OLTVs were the basis for calculating the risk-based capital requirement in Fannie and Freddie’s 1992 capital legislation, and FHFA must return to using them in the next version of its capital proposal. A second serious error in FHFA’s current capital proposal is that the multiple layers of conservatism in Fannie and Freddie’s risk-based capital standard intended to be cushions against uncertainly in fact cannot perform this role due to the nature of the companies’ capital regime. Unless corrected, this flaw will lead Fannie and Freddie to hold far more capital than required for them to comfortably cover their risks, greatly increasing the cost and reducing the availability of the loans they finance. Fannie and Freddie’s total capital will be the sum of three components, each one determined differently: (a) Loss reserves, intended to cover the expected losses on their loans (which, beginning in 2020, will be determined in accordance with guidance from the FASB for “current expected credit losses”); (b) Required core capital, intended to cover the unexpected losses on the companies’ loans and set by the regulator; FHFA is proposing to require Fannie and Freddie to hold the greater of a risk-based capital amount, designed to survive a defined environment of credit stress, and a ratio-based minimum amount, and (c) Excess core capital, determined by the companies and intended to ensure that they always will have enough core capital to meet their regulatory capital requirements, even during periods of stress. FHFA does not account for excess capital at all in the June proposal, but it plays a critical role in Fannie and Freddie’s capital management, and thus in their total capital holdings. The companies always must meet or exceed both their risk-based and minimum capital requirements to avoid becoming subject to FHFA’s prompt corrective action authority. In times of stress they have only three ways of keeping outsized credit losses from pushing them out of capital compliance: first by using up their earnings, then by drawing down their excess capital, and finally by raising new equity in the capital markets. They cannot use any of the “cushions” built into their risk-based or minimum capital standards, because if they do they will fall short of those standards and trigger the prompt corrective action they are trying to avoid. There is a saying among financial executives that “the best time to raise capital is when you don’t need it.” For Fannie and Freddie, the practical application of this aphorism is that it is prudent even in good times to hold excess capital, and when the housing market shows signs of overheating (and there are many such signs) a substantial amount of excess capital becomes all but mandatory. Were I still CFO at Fannie I would advocate excess capital holdings of between 5 and 25 percent of the risk-based capital amount, with a percentage at the lower end of this range early in the cycle and near the upper end as the cycle ages. These are not trivial amounts, and when held they would need to be built in to the company’s target guaranty fees. FHFA needs to reflect the reality that its prompt corrective action authority gives Fannie and Freddie strong incentives to hold a meaningful amount of excess capital. This will be their real capital cushion. The elements of conservatism FHFA has built into its current version of the single-family risk-based capital standard are unusable as cushions, so unless they can be justified in some specific component of the capital framework—discussed below—they must be removed from the next version of the standard in order to avoid adding excessive and unnecessary costs to Fannie and Freddie’s credit guarantees. While the details of FHFA’s proposed single-family risk-based capital standard for Fannie and Freddie are complex and seemingly inaccessible, the basic framework of the standard is quite simple. In the next version of its capital proposal, FHFA should take advantage of this fact by presenting and explaining its risk-based standard in terms of the three specific components that comprise it: (1) The dollar amounts of credit losses projected for all of the mortgages held or guaranteed by each company during the FHFA-defined stress environment; (2) An “uncertainty reserve” intended to account for the possibility that the historical data used by FHFA for the stress environment may not prove adequate for the next crisis, and (3) A going concern capital buffer designed to enable the companies to retain the confidence of capital market investors, and thus be able to access the equity markets throughout the stress period. Other elements of conservatism in the current proposal not linked to one of these three components should be eliminated, and the minimum capital ratios should be reasonably and logically related to the risk-based standard. Credit losses during the stress test. This component is straightforward, and should be non-controversial. To determine the dollar amount of required risk-based capital for Fannie and Freddie’s single-family loans each quarter, FHFA would use loan-level data provided by the companies on mortgage types, characteristics and risk factors, then apply its published “look-up” tables on credit losses and risk multiples to these loans—using OLTVs and not CLTVs, for the reasons discussed earlier. Since Fannie and Freddie are the only ones in a position to opine on whether FHFA’s look-up tables on credit losses and risk multipliers produce results that reasonably reflect what might occur during the specified stress environment, FHFA should seek their formal endorsement of these tables before issuing its final regulation. “Uncertainty reserve.” In its current proposal FHFA uses the assumption of “house price recoveries that are somewhat more conservative than experienced following [the] crisis” as a proxy for this reserve. For the sake of clarity and transparency, FHFA should quantify the difference this assumption makes in its capital numbers. And if FHFA deems other cushions to be necessary for the standard, they should be included in this category, and quantified. A total uncertainty reserve in the range of 5 to 10 percent of the stress test-based capital requirement would be reasonable. Going concern capital buffer. The stress test capital and uncertainty cushion are intended only to ensure that a credit guarantor’s existing book of business can survive an environment of very severe credit losses; they do not ensure that the guarantor itself can do so. Given the systemic importance of Fannie and Freddie to the mortgage market (and the economy), their capital regime must have features and safeguards that maintain the companies’ financial viability at all times. Additional capital is not the only way to maintain this viability. FHFA includes, but does not highlight, two others in its current proposal. The first is that Fannie and Freddie’s stress test is run on a liquidating book, whereas in reality the companies will be doing new business throughout the stress period. In past cycles this business has been both significant and profitable. During the five years when Fannie’s losses were at their highest (2008-2012), its post-2007 book of business grew to $1.9 trillion; guaranty fees on that new book through 2012 totaled $15 billion, with credit losses less than $2 billion. Second, as stated earlier FHFA’s prompt corrective action authority gives Fannie and Freddie strong incentives to build excess capital leading into periods of credit stress; this capital is not considered either in the stress test or any of the cushions. FHFA’s “going-concern buffer component of the proposed risk-based capital framework establishes a 75 basis point requirement for most assets and guarantees, regardless of credit, market, or operational risk capital requirements,” and FHFA notes that this would allow the companies “to continue operating without external capital support for one to two years after a stress event.” In setting the 75 basis-point size of this buffer, however, FHFA assumes no income from new business and no excess capital to absorb stress period losses. Making realistic assumptions for both would reduce the need for additional going concern capital materially. The size and value of these disregarded guaranty fees can be readily estimated. Fannie (and FHFA) will have more precise numbers, but based on published data I’ve calculated that cumulative net guaranty fees (guaranty fees less administrative expenses attributable to the single-family business) on Fannie’s 2007 single-family book have been about $19 billion, or almost exactly 75 basis points of that book’s year-end 2007 balance of $2.55 trillion. And in the future the value of stress-period guaranty fees will be considerably higher. The average net guaranty fee on Fannie’s 2007 book was 18 basis points; in 2017 Fannie and Freddie’s average net guaranty fee was 31 basis points, and their average net charged fee on new business was 37 basis points. At these higher fee rates, the present value of their guaranty fees not counted in the stress test will be between 125 and 150 basis points. During the first few years of the next stress environment, therefore, Fannie and Freddie will be receiving the bulk of the 125 to 150 basis points in guaranty fees from the existing book that aren’t being counted in the stress test, additional earnings from uncounted net income on their new business, as well as the loss-absorbing benefits of whatever uncounted excess capital they will be able to draw on. In the aggregate, this will be more than twice the 75 basis-point amount FHFA says the companies need to maintain their viability. Given this fact, there is no justification whatsoever for FHFA to require still more “going concern” capital in the form of an additional 75 basis-point fixed charge. This element of the risk-based standard must be dropped from FHFA’s next version of the proposal. Other elements of conservatism. The reserve for deferred tax assets included in the current capital proposal is inconsistent with both FHFA’s capital framework and current accounting practices. As just discussed, even after eliminating the 75 basis- point fixed charge Fannie and Freddie will have more than sufficient income and capital to maintain themselves as going concerns during FHFA’s defined stress environment. Under such circumstances the accounting rules do not require—and indeed do not permit—the establishment of a deferred tax asset reserve. FHFA must remove this reserve from any revised proposal. There is no need for FHFA to use lifetime credit losses in its risk-based standard. As noted above, the companies’ stress test is applied to a liquidating book of business, which does not need to be able to survive forever; it only needs to survive until all of its remaining losses can easily be absorbed by net income from new business. In the last cycle, this took six years for Fannie. Net guaranty fee income from Fannie’s post-2007 book of business in 2013 (which by then averaged over $2.0 trillion) was large enough to comfortably cover that year’s $3.7 billion in credit losses from the 2007 book. FHFA may want to use seven-year credit losses or even ten-year losses in its stress test, but lifetime losses are unnecessary and unwarranted. Minimum capital ratios. It is important for the minimum capital ratios to fit into the overall capital framework. FHFA correctly states that these minimums should not be so high that they frequently become binding on the companies, thus overriding the risk-based standards. To prevent this from occurring, FHFA should set the minimum single-family credit risk capital ratio to be close to what the companies’ risk-based capital requirement would have required when the average OLTV of their books was near the low point of the past two credit cycles. For Fannie, this was 70 percent, reached and maintained for four years in the early 2000s. The mortgages Fannie and Freddie are allowed to retain in portfolio should have an additional minimum capital requirement to account for their potential interest rate risk. The 200 basis-point charge suggested by FHFA, and also used in the minimum capital standards for the companies in the 1992 legislation, seems reasonable. The credit risk transfers Fannie and Freddie do with counterparties, such as front-end and back-end mortgage insurance or reinsurance, are accounted for defensibly in the proposed capital standard through counterparty risk “haircuts.” The problem arises with securitized CRTs, where there is a fundamental incompatibility between the use of a stress test to determine the required risk-based capital for Fannie and Freddie’s single-family credit guarantees and FHFA’s proposed treatment of their credit risk transfer securities. A properly designed and implemented credit risk stress test—which sets required capital based on the OLTVs of all of the mortgages guaranteed by a company—takes advantage of the fact that because of their seasoning and price appreciation older books of business will suffer much lower losses than newer books of business in a stress environment. This means that a significant amount of required capital on the older books will be available to absorb the much higher losses on the newer books. Fannie’s experience from the 2008 housing crisis shows how important this “capital transfer” element is. Fannie’s $2.55 trillion December 2007 book of single-family business has suffered $88.9 billion in losses through 2017. Loans acquired in 2005, 2006 and 2007 accounted for 54 percent of the 2007 book but produced $78.2 billion, or 88 percent, of that book’s losses; just $10.7 billion in losses, or 12 percent, came from the other 46 percent of the book. A future crisis is likely to have a similar distribution of losses, so to survive that crisis Fannie (or Freddie) will need to use the excess capital from its good books to cover the capital shortfall on its bad ones. The problem with FHFA’s treatment of CRTs is that it would give meaningful capital relief for CRT securities issued on good books of business that end up transferring few if any losses, and in so doing eliminate a large reserve of capital the stress test assumes will be available to cover the outsized losses on the companies’ bad books. Starkly stated, FHFA’s risk-based capital specification is designed to allow Fannie and Freddie to survive a very severe loss scenario, but the capital relief FHFA proposes to grant for CRTs issued on the companies’ lower-loss books could cause them to fail during the same scenario. This almost certainly is unintended. FHFA needs to separate itself from the advocacy for CRTs it has been engaging in as conservator (in conjunction with Treasury), and in its capital proposal view them from the perspective of a safety and soundness regulator. The inescapable reality is that CRT securities never will be a cost-effective mechanism for Fannie and Freddie (or any credit guarantor) to use to transfer credit risk, for the simple reason that CRT investors price them to produce a generous return on their investment—i.e., so that the interest they receive comfortably exceeds the credit losses they expect to have transferred to them. When investors become concerned that the amount of credit losses might exceed their scheduled interest payments, they first will increase their required yields, then leave the CRT market altogether. Because CRT investors control the pricing of the securities and can exit the market at will, the probability that CRTs ever will be economic for issuers over a full cycle—that is, result in more total credit losses transferred than interest payments made—is vanishingly small. FHFA notes in its proposal that “U.S. bank regulators have not given banks capital relief for [securitized] credit risk transfers as FHFA has proposed to do in this rule.” One reason may be the extreme difficulty of determining the “equity equivalency” of CRT securities, given that they are linked to a single group of mortgages and, unlike equity, have no value elsewhere. To avoid crippling its own risk-based standard by giving excessive capital credit to CRTs, in the next version of its proposal FHFA must at a minimum deduct their expected interest costs from any capital credit it gives the companies upon issuing them. Even better, it could, like bank regulators, give no capital credit for securitized CRTs, and instead allow the companies to decide on their own when and whether to issue them, based on their economics. Tim, I’m curious who you think would be the best candidate to head the FHFA. Also curious who you think might be the best people to assume CEO positions at the GSEs. Thanks! Since I have no practical influence over any of these appointments, I find it unappealing to offer advice that I know will not be taken; it may unexpectedly please three people, but would unnecessarily offend many others. Forgive this……..but does the TS read or think that shareholders don’t? “When the Democrats take over the U.S. House of Representatives in January, they are expected to launch investigations of Donald Trump, his businesses, his family and his presidency, according to senior lawmakers and aides.” Lord, I just hope TS doesn’t use the b word(simultaneously killing yet another Obama initiative while seriously enriching POTUS ally’s, no less), please, say reform is as dead as Elvis, but just don’t use that word. Fantastically insulting to all, and to all a good fright. Can an acting director end the conservatorship and move ahead with the administrative reform ? or must be confirmed by Congress to do that? Neither. While the Housing and Economic Recovery Act (which created FHFA and gave it its powers to put Fannie and Freddie into conservatorship or receivership) gives FHFA the authority to end the conservatorship when it deems it appropriate to do so, this power is overridden by the terms of the Senior Preferred Stock Agreements between Treasury and Fannie and Freddie (which FHFA signed on behalf of both companies as conservator). The SPSAs contain a clause that states, “Seller [Fannie or Freddie] shall not (and Conservator, by its signature below, agrees that it shall not), without the prior written consent of Purchaser [Treasury], terminate, seek termination of, or permit to be terminated the conservatorship…other than in connection with a receivership…” This clause is binding on a permanent FHFA director as well as an acting one. Do you know why the Treasury is waiting for next year 2019 to work on GSE reform? It seems that it needs the FHFA director to do something that the Treasury is not able to get it to do. One obvious action Treasury needs FHFA to take in advance of administrative mortgage reform of Fannie and Freddie is to publish a final capital regulation for them. (The companies can’t be brought out of conservatorship until they are recapitalized, and they can’t be recapitalized until their capital requirements are known.) I’ll give my views on the state of FHFA’s capital rule making–and the implications of it for the pace of administrative reform–in a blog post I’m planning on putting up tomorrow. I won’t be offended, so go ahead and mention my name (but not for Freddie)! Has anyone else realized that Matthew G Whitaker has represented Fairholme in the past, and why that would be important? I did not realize that. That is interesting information. One would expect the imminently departing FHFA Dir. to likely make some sort of sayonara statement that, imo, will either be a leading reference to the health and safety of GSE’s or how C Ship was precisely what Dr. ordered. There are not many guilt free shots in this world but a departing Trump staffer seems to be one of them. Which technically means little today but which may speak volumes a year from today. If only dogs could talk then we may get an idea what these whistles mean because we all know how committed UST is to releasing GSE’s which apparently isn’t an easy thing to do. Surely, putting a cookie back in a jar by day can’t be any harder than it was taking it at night? By my math, there are about 12 steps to GSE reform and it would be nice if POTUS took the first and hardest one, by admitting US Gov’t has a GSE problem. Given hindsight, and the next cash draw, are both 2020, not sure how his 2016 sponsors will take to 4 more years of lip service from his enablers. A community bank and two conservative groups are asking the U.S. Supreme Court to finally decide the constitutionality of the CFPB. State National Bank of Big Spring, the Competitive Enterprise Institute, and the 60 Plus Association, Inc. Things can conclude a lot faster. so Ps filed petition for cert. response date has been delayed couple of times to mid-December. in cert petition, Ps cited PHH and Collins as an irreconciable circuit conflict (though different agencies, CFPB/FHFA) but 5th circuit granted rehearing en banc in collins, so there is no conflict now, and won’t be until the 5th circuit en banc Collins holding. so if I were a betting man, I would bet that scotus denies cert and waits for the 5th circuit en banc decision in Collins. This is an article authored by Willy Walker, the chairman of Fannie Mae’s top multifamily lender, Walker & Dunlop. While it’s complimentary of Fannie and Freddie’s recent technological efforts, I read its main point as being a criticism of how far behind Fannie and Freddie the FHA and HUD are (for the government-insured segment of the market). Meantime, before anyone gets excited at prospect of Calabria at FHFA, let’s remember what POTUS Econ Adv Kudlow said about FnF, to no avail (TS/Cohn too, for that matter). And, per usual, the loudest voices are from detractors with Maxine, Nadler joining in. Given lack of bipartisanship on virtually everything in first two years so good luck with last two, if reform not initiated by end of year, imo, reform really is up Shiff’s creek……..
Do you see this paragraph from Ackman to be incompatible w/ the November plan from Moelis? In order for such an unprecedented capital raise to be feasible, we believe that current investors in Fannie and Freddie must be treated fairly, as new investors will be highly skeptical as to how they will be treated if the ultimate outcome is poor for legacy shareholders of the GSEs. New investors must also have visibility into the long-term earnings power of Fannie and Freddie so that they can reasonably estimate the valuation of each Enterprise. To maximize such visibility, required capital ratios should be fixed rather than dynamic, and should balance the objective of a fortress balance sheet with the need to deliver market returns to investors and affordable mortgage rates to consumers. There are also several aspects of the Proposed Rule that must be eliminated if new capital is to be raised, including procyclicality and excessive conservatism. I do. As the government’s actions are now known to be motivated alternatively from the public good at the outset of the C-ship in 2008, rewarding the gov’t with compensation from those actions seems to be something that would quash any interest from private capital today. Could you remind your readers your thoughts on this issue now that it has surfaced yet again? No, I do not see any inconsistency between Ackman’s statement and the Moelis plan. I suspect that you may have a different notion of what “fair” treatment of investors is than Ackman does. If we do see Fannie and Freddie attempt to return to shareholder status, it will be the large institutional investors who make that determination in any case, through their collective decisions to either invest in the recapitalized company or decline to. I have no doubt that the government and its investment banker (or bankers) will pre-test their recap plan with the investor community; they will not commit to a plan they believe could fail. I wondered that myself. Is it simply too late regardless at this point even if they cancel warrants and declared the senior preferred paid? Any new investor is aware of what has happened here and any regulated entity like this could be at the mercy of the heavy hand of the govt in the next crisis. Tim , is it possible to create a chart showing the impact of different percentages of required capital on the monthly payments of a mortgage? by almost all judges, gov can “legally” rob people. given executive power and resources it has, pretty scary. at a minimum, who can survive a multi-year legal battle? this is self-explanatory, but it does bear emphasizing that the en banc panel is focused on whether invalidating the NWS is required if they (as did the merits panel) find that the fhfa is unconstitutionally structured. collins counsel set forth Bowsher in their Bhatti 8th cir. appeal brief but did not cite to it in their original collins 5th cir panel appeal brief because, I believe, they came across the Bowsher precedent only after the collins merits panel issued its opinion (it happens). the money quote from Bowsher: “Accordingly, the judgment and order of the District Court [invalidating the Comptroller General’s action] are affirmed.” So added to Canning as support for NWS invalidation will be Bowsher and Lucia (an appointments clause case decided after collins was argued before the 5th circuit merits panel that should have precedential value even though it is a separation of powers case). As to the mechanics of invalidating the NWS and how that would affect fhfa functions, Collins counsel has addressed that in the bhatti appeals brief: no or little money need change hands as one can reduce the liquidation preference of the senior preferred, so treasury will not need to, for example, seek an appropriation of money from congress; and while invalidation of NWS might serve as a precedent for other plaintiffs to seek invalidation of fhfa action, there are many reasons why those hypothetical plaintiffs might not be able to bring those actions, such as the passage of the statute of limitations. As to the APA claim, collins P will have to rely principally on the dissents of the 5th circuits own J Willett and former DC circuit Judge Brown. quick addendum. having just read J. Thomas’s concurrence in Murphy, it should be pointed out that J. Thomas is asking the question whether it is a proper function of judicial review to sever a statutory provision that scotus finds unconstitutional to “save” the remaining provisions of the statute. reference to J. Thomas’s concurrence in Murphy by this “letter of advisement” really is a favorable reference for P, as it was the merits panel’s act of severing the fhfa director’s removal only for cause provision that served to justify the merits panel’s denial of relief (NWS invalidation) to P.
Again, good information. I suspect we all have a natural tendency to read documents like these in a way that favors our priors (or wishes), but I don’t see any significant red flags here, and continue to view the mere fact that the case is being reheard as a good sign for the plaintiffs. ah yes, confirmation bias. but as a great NYC sage once said, just because you are paranoid, doesn’t mean someone is not out to get you. The ICBA submitted their own comment, and it seems to boil down to this part of page 4. This must be disconcerting, given your (entirely correct) explanations that the GSEs need their own capital standards and not those of other institutions, like the FHLBs or TBTF banks, and that FHFA’s 3.25% proposal is already too high. However, this is hard to argue with politically. It’s always easy to recommend a higher capital number than the last person suggested, and very hard to argue for a lower one (easily painted as a vote against taxpayer safety). Do you think the path of least resistance might lead us to a world where the GSEs have extremely high capital requirements, even higher than those in FHFA’s original proposal? Corker made similar points this morning in his questioning of Quarles. I think that is the ‘win’ he is aiming for now. Mnuchin will see right through this little charade. Whether he acts accordingly is the question. I think he will. Even Watt parroted the correct % when appearing before Congress. I don’t know the people at the ICBA, but I was quite surprised with their recommendation that FHFA should set Fannie and Freddie’s capital requirements equal to those of the Federal Home Loan Banks. Fannie and Freddie’s business bears no resemblance to what the FHLBs do, so what rationale could there be for making their capital requirements the same? ICBA offers two reasons. The first is, “The optics of the Enterprises having lower capital requirements than other GSEs and other similarly large financial institutions will result in political distractions and interference, disrupting the market in the process.” I have no idea what that means, but it’s certainly not a reason for something as important at determining Fannie and Freddie’s required capital. ICBA’s second reason is: “Providing [Fannie and Freddie] with a capital advantage can disadvantage private market participants, including community banks that originate and retain mortgage loans in portfolio.” This one I DO understand; it’s “make financing of mortgages by investors in the capital markets less competitive with community bank portfolios by jacking up the capital requirements of the secondary market companies who make that financing possible.” This, I believe, is the real reason for the ICBA’s recommendation on Fannie and Freddie capital, and it’s as old as dirt. Will it be persuasive? Perhaps legislatively, but even there I doubt it. This is where we were back in the early days of “GSE reform,” talking about a 5 percent capital requirement for Fannie and Freddie. The reality, however, is that requiring companies whose business is guaranteeing mortgage loans that have an expected loss rate of less than 10 basis points to hold 5 percentage points of capital against them basically dooms the business to failure: they will be forced to so overprice the only product they have to offer that they will do very little volume of it. Who really wants to be responsible for creating a “reformed” secondary market system that won’t be able to maintain anything close to its current $5.0 trillion of outstanding mortgage-backed securities? I think we’re past that point. Moreover, FHFA has sensibly decided to follow HERA, and HERA says Fannie and Freddie’s capital should be risk-based. ICBA’s position of “no, it shouldn’t, and we should overcapitalize them to the point of ineffectiveness” is in my opinion very unlikely to carry the day. I am on record as having said many posts ago on this blog that the original complaint filed by Washington Federal, directly challenging the conservatorship and hence the issuance of treasury’s warrants, would likely not be pursued. This complaint is singularly important insofar as it is the only complaint challenging the issuance of the warrants that was filed within the statute of limitations for challenging the original conservatorship in 2008. This amended complaint is heavily redacted, which I assume indicates that it has benefitted substantially from the discovery performed by the fairholme attorneys. This amended complaint may serve to further incentivize an administrative solution that settles outstanding litigation. I’ll read this as soon as I can, but having the Washington Fed suit “alive and kicking” is excellent news, for the reasons you state. It’s also good that it’s been filed in Sweeney’s court, since unlike many of the judges in other jurisdictions she understands what Treasury and FHFA have been up to not just with the net worth sweep but also with the conservatorship itself. Although the Delaware suit didn’t go our way (which I’m disappointed about), this is another recent development to put in the “win” column. Today the 5th circuit granted rehearing in banc, it voids the previous opinion. Is this a positive step for ps ? What may ps expect from this ? One of the truisms of judicial review is that judges don’t take a case unless they have to. This applies even more so with respect to rehearings en banc. A merits panel has already heard this case and issued its opinions, 2-1 against Ps with a stinging dissent by Judge Willets. A majority of the 5th circuit judges have decided that the case needs to be reheard. You simply are not going to get a conclusion that the case needs to be reargued and re-decided unless a majority of judges have a serious belief that the dissent may be right. Ask a judge if he is overworked (and underpaid) and you will get unanimous agreement. Judges don’t grant rehearings without significant reason. P briefs are due 12/12, and govt briefs due 1/11/19. oral argument to be heard two weeks thereafter. the rehearing order doesn’t specify, but Ps asked for rehearing on both the APA claim (that NWS not within conservator’s authority to conserve and preserve assets) and denial of relief on finding that FHFA is unconstitutionally structured. It seems both claims are up for re-argument and rehearing. also the rehearing order doesn’t state that this case is being consolidated with the All-American separation of powers case. I take that as a plus since that would only tend to complicate things for the hearing en banc. this is headline good news for Ps. just a quick addendum if I may. the 5th circuit rules go to the extraordinary length to say that rehearings en banc are “disfavored”. meaning, don’t waste our time unless a rehearing is truly called for. the process generally is that if after the losing party requests rehearing en banc, a judge has to take up the petition and discuss it with the other judges, all of whom have their own workload and see this judge championing the rehearing petition as only adding to their burden. one can assume this judge in this case was Willett. then this judge has to convince a majority of all the other judges (including the two judges in the majority who disagreed with him) that rehearing should be granted…in effect, that there is a sufficiently high probability that the merits panel majority was wrong that it is worth the time and trouble for a do-over. I haven’t found any studies as to the percentage rate of reversals in federal circuit court rehearings en banc. but why would a full circuit court grant such a rehearing unless prime facie a majority believed that such reversal was a real possibility. this will be my last thought on the matter (for tonight). it is worth noting that, in response to Ps petition for rehearing en banc of both the APA and constitutional claims, fnma/treasury not only resisted rehearing of the APA claim but also asked for rehearing of the merits panel holding that fhfa was unconstitutionally structured (though no relief was to be granted Ps). so one might ask whether this rehearing en banc is being granted in response to Ps or fhfa/treasury’s petitions. simply, the court would not have granted rehearing en banc of both claims if it was responding to only fhfa/treasury’s petition. if that were the case, the order would have been restricted to a rehearing of only the constitutional claim. couldn’t it have been an order that granted both petitions (indicating possible agreement with Ps on APA claim, and with fhfa/treasury on the constitutional claim)? so perhaps the full court found that both petitions had merit. however, while I am reading perhaps too closely, it would seem that two judges, and not just a member as set forth in the order, would have asked for a rehearing in such event. ROLG–Thank you. That’s very good information and analysis. And I agree with you that the en banc rehearing is excellent news for the plaintiffs. We’ve now seen two reversals of judicial viewpoint on net worth sweep-related opinions in the last month and a half: Judge Lamberth’s ruling on September 28 that claims related to the breach of implied covenant in Perry Capital should be allowed to proceed, and now the 5th Circuit’s decision to rehear the appeal of the Collins case en banc. In both instances, I suspect what’s happened is that as judges have had time to focus more closely on the fact patterns in these cases, the argument that the net worth sweep was a matter of judgment permissible under HERA–as opposed to a pre-meditated seizing of two companies’ assets, covered up by a now-revealed sequence of false statements by Treasury– becomes less credible or sustainable, and is now cracking. If so, we may indeed finally have reached a turning point in this saga. WASHINGTON (Reuters) – A U.S. federal court on Wednesday rejected a challenge to Treasury Department requirements that government-sponsored mortgage-finance giants Fannie Mae and Freddie Mac return net profits to the federal government. Tim, ROLG —- thoughts on this development? yes, the 3rd circuit decided against Ps and that the NWS complied with Delaware law, if it applied, without citing to any Delaware cases in a case that would have been of first impression if presented to the Delaware courts. federalism at its worst. this was 3-0 against Ps on merits. a terrible opinion, but unanimous. in my view, Ps only shot is to petition for rehearing en banc in 3rd circuit and argue that this is a case of first impression under Delaware corporate law and should not have been decided by federal court but rather referred to Delaware Supreme Court for an advisory opinion. in effect, forget whether the merits panel is right, focus on whether the Delaware Supreme Court should have gotten the first crack at this. if you read the opinion, you will note that the opinion doesn’t refer to a single Delaware case in deciding the Delaware law question. the federal court is winging it. this is a longshot however. while I agree with you that I thought hindes/jacobs was the strongest horse in the race, coming down the stretch it is clearly collins. A rehearing en banc of the collins APA claim (NWS violates conservator duty under HERA) is great news, and I also think with respect to P relief from a constitutional violation, that since Lucia was decided at the end of the merits panel’s deliberation and was not discussed in the merits panel opinion, Ps have a real shot en banc at arguing both Lucia and Bowsher to the effect that Ps should be provided relief (determination that NWS is invalid) in connection with merits panel determination that fhfa is unconstitutionally structured. 5th Circuit Court has 17 seats, with 16 being active and 1 vacancy. 5 Liberal appointees (3 Obama, 2 Clinton) and 11 Conservative appointees (5 Trump, 4 Bush, 2 Reagan). 3rd Circuit has 14 seats, 1 of them being vacant. 7 Liberal appointees (5 Obama, 2 Clinton) and 6 Conservative appointees (4 Bush, 2 Trump). En Banc rehearing in a 11 v 5 Conservative/Liberal court, with potentially another Trump appointee swinging it to 12 vs 5 is great for Ps given they smell something is wrong here, otherwise why grant en banc? 3rd Circuit looks like a lost cause based on the bench breakdown. yes there is provenance as to which potus appointed which judge, but also the intellectual strength of the judges themselves. in 5th circuit, for example, judges Willett and Ho are very strongly opinionated and may play a persuasive role in an en banc proceeding when you have many votes to round up. Tim, where do you think she’ll land on the GSEs, not so much with respect to affordable housing but with respect to getting them out of C-ship. Secondly, do you find this request still relevant? My initial thought was to not accept this comment, because of the combative and partisan article from Stephen Moore that is the first link in it. (My policy on this blog is to neither indulge in nor permit the sort of bitter invective that too often passes for opinion writing these days.) But then I thought there was an important point nestled in the article that was worth calling attention to. The quote from Maxine Waters above is intended as Exhibit A in Mr. Moore’s case for depicting Ms. Waters as “the fox…guard[ing] the henhouse” with respect to Fannie and Freddie. But in fact, Waters had it exactly right when she made that statement back in 2004. I was CFO at Fannie during that time, and we were the only significant financial institution cutting back on the high-risk mortgage business that began to flood the market that year. (I discuss this at some length in my book.) Our critics, which I’m sure included Moore, had no idea what we were doing with our business; their opposition to us was for ideological and in some cases competitive or political reasons, facts be damned. Fast forward to 2008. Even with the credit relaxation mistakes made by Fannie after Raines and I were forced out, Fannie and Freddie still were, by far, the best performing mortgage lenders at the time. Notwithstanding this, Treasury was able to nationalize both companies in September of that year in large part because critics like Mr. Moore not only allowed Treasury to get away with its ruse that the takeover was a “rescue,” but also cheered it on because they had always opposed the companies and saw the financial crisis as a once in a generation chance to take them out. On the second link—to a June 2016 letter to Mel Watt from 32 Democratic members of the House expressing concern about the negative implications of Fannie and Freddie’s lack of capital—the issues raised in it have changed by virtue of the facts that (a) the companies now do have a small $3.0 billion capital buffer, (b) Watt’s term shortly will expire, and (c) Democrats now control the House. Even so, as I’ve said in previous comments I don’t think either Ms. Waters or House Democrats will have much influence on the administration’s housing policy (which probably will please Mr. Moore). Times have certainly changed, but a new young generation of GSE employees is emerging. But they are fully aware that they do not have the institutional knowledge you and others once possessed. With all that in mind, Tim would you be interested in hosting another Politics and Prose? But this time the target audience would be young GSE employees. So they can hear your side of the story. As you point out, the talk I gave at Politics and Prose was in conjunction with the publication of my book; there is no comparable “hook” for such a talk today. A primary reason for starting (and maintaining) the blog was that it could serve as a vehicle for disseminating information and analysis of mortgage finance-related issues to those who were interested in it. And I’m also open to meeting with individuals and groups upon request (and in fact have such a meeting scheduled today). Tim how would you suggest interested parties contact you other than a public comment on your blog here? There are a couple of ways. If a person knows someone who has my email address they can contact me that way. But I’ve also had people make a comment on the blog asking me to contact them, which if their request is one I have an interest in I can do using the email address for them that appears on my end when they comment; I then delete their post. the moelis updated blueprint at p.22 addresses FnF “mission creep”, and how an administrative solution could install guardrails against this in various ways without legislation. Understanding that FnF are a duopoly with massive balance sheets and operational imprints, it can be well argued that limiting mission creep is a sound regulatory objective, with the attendant benefit that one can address the concerns of those who oppose FnF by reducing the threat that FnF are perceived to pose by this opposition. In order to limit what the Mortgage Bankers Association (MBA) and others call “mission creep” for Fannie and Freddie, one first has to define the term, and that’s not so easy (you’ll note that Moelis didn’t attempt a definition). Fannie and Freddie’s primary business purpose, as defined in its charter, is quite general: “to provide ongoing assistance to the secondary market for residential mortgages by increasing the liquidity of mortgage investments and improving the distribution of investment capital available for residential mortgage financing.” The charter has a few specific restrictions and mandates—Fannie and Freddie cannot originate mortgages, they cannot purchase loans with a balance above a certain limit (which changes each year following an index of home prices), and they must remain active in the market at all times—but other than that is open to interpretation as to what specific activities the companies can engage in while carrying out this purpose. And that’s where the issue arises. For at least the past two decades, the MBA has insisted that there are “bright lines” that separate the origination, servicing and secondary market financing functions. In fact there are not, at least not legally. When I was at Fannie, we followed the principle in English law that “everything not forbidden [by our charter] is permitted” in furtherance of our goal of lowering the cost and increasing the availability of mortgages for the low- moderate- and middle-income homebuyers we were chartered to serve. That included developing and making available technology that reduced the cost of originating mortgages, which the MBA and its larger members bitterly opposed. But once we were doing this it was hard to reverse; the MBA essentially had to say to Congress, “Stop Fannie and Freddie from lowering homebuyers’ costs, because those costs are our revenues.” That’s not an easy sell (and it wasn’t successful). I believe that prior to the midterms the MBA and its membership sensed the possibility of getting the two Republican-controlled houses of Congress to pass legislation, which the Republican president would sign, that would define “mission creep” in a way that kept secondary market institutions from engaging in a broad range of mortgage-related activities—to the large banks’ advantage—and require a subsequent act of Congress to change. But that opportunity, if it ever was much of one, has now passed. What’s left is for the MBA to work with FHFA and Treasury on ways to control what it views as mission creep administratively, some of which were identified in the Moelis piece. I don’t view the mission creep issue as a serious stumbling block to administrative mortgage reform. my quick principal two takeaways: 1. valuation of common equity increased some 25%; and 2. minimum capital requirements expected to be met by 2021 year-end, at which point dividends would resume. I’ve now read the revised blueprint. I see it as more of a supplement than a revision. The revision aspect relates primarily to the incorporation of new information and assumptions into the recapitalization and valuation projections, resulting in a faster path to full recapitalization and a higher corporate valuation for the companies once the full capitalization is attained. Both are favorable, although in my view it’s still too early to “take them to the bank” in light of the remaining uncertainties associated with removing the companies from conservatorship and returning them to shareholder ownership. I was very pleased to see the Moelis team directly address the main proposed alternatives to their plan. In the section titled “The 2019 Outlook and State of the Debate” Moelis gives their analysis of and opinion about five proposed alternative objectives of or paths to reform: (1) Revoking Fannie and Freddie’s statutory charters; (2) Chartering new credit guarantors to compete with Fannie and Freddie; (3) Having the government change from a posture of backstopping credit guarantors to explicitly guaranteeing their securities; (4) Having Ginnie Mae effectively replace Fannie and Freddie, and (5) Running Fannie and Freddie through receivership. Moelis summarizes by saying, “All of these concepts risk substantial negative side effects, which should be weighed carefully by the government in assessing whether or not to support them,” and then goes on to give detailed and practical critiques of each. I agree with Moelis on all of these points, and think it’s an important step for them to have made the critiques in such a clear and straightforward way. I believe all of these alternative ideas have been given currency and kept on the list of possibilities only because they have been advanced by prominent individuals or interest groups. The fact that they are impractical, unworkable, unwise or all three is known to most secondary mortgage market insiders and professionals, but not to those engaged in the political aspects of the reform debate. Having Moelis spell out the weakness and dangers of these ideas in this document hopefully will convince more people to focus their attention and effort on an administrative approach to reform that has a much greater promise of success and a much lower risk of going off the rails. I continue to be concerned that both FHFA and Moelis have pegged Fannie and Freddie’s post-conservatorship capital and guaranty fees at too high a level for the companies to be able to serve a broad and wide enough set of the country’s potential mortgage borrowers to enable the companies to do the volume of business implicit in Moelis’ financial and valuation projections. Specifically, I’m concerned that the average 60 basis point charged guaranty fee Moelis shows for the companies in 2022 (in Figure 8) may be too high to attract the business of high-quality borrowers–who will find bank portfolio or non-agency securities execution more competitive–and that the resulting loss of this high-quality business will push Fannie and Freddie’s risk-based guaranty fees up even further, pricing out medium-quality borrowers as well. But this is a topic for another time–and after we’ve seen the range of comments on FHFA’s June capital proposal submitted near or at the deadline of November 16. Tim, do you know if other comments on the capital proposal have been presented earlier? Also, the comments are to be open as yours? I mean will they be made public by FHFA? Yes, there have been comments posted, and FHFA does make them public. If you go on the FHFA website, you’ll see on the home page a box with the phrase “We want to know what you think.” At the bottom of that box there is a line in blue saying, “View items open for comment or input.” Click on that and it will bring you to a page that says “All Items Open For Comment.” The “Enterprise Capital Rule” is at the bottom of that page. Click on its reference number and you’re almost there. At the bottom of the page that comes up there are two blue boxes: “Submit comments,” and “View comments.” Clicking on the second gets you to the comments. To date there have been 43 of them submitted, mostly short ones from individuals (some critical without any attempt to be constructive). Not many of the “heavy hitters” have weighed in yet. I expect a flurry of industry and trade group comments to be posted next week, and I’ll try and read them all (or at least read enough of each to get a good sense of what they’re saying). Why would so many interest groups wait until right before the deadline? Does each of them want to read the other submissions and potentially rebut them, leading to none of them submitting anything until the day of or the day before? two likely reasons for late commenting by “heavy hitters”: with multiple members of a group, you have the collective action issues, such as individual members having pet issues they want addressed that conflict with other individual member pet issues etc; if the group seeks to outsource the commenting process to a consultant in order to avoid the internal collective action issues, then of course the consultant will always waits to the last second because that is what service providers do. I agree, Tim, and wouldn’t “take them to the bank” either because the *&^%$# banks will try and bury or compromise the Moelis ideas. Watch them work if momentum builds. Maxine Waters on GSEs. What are your thoughts? Good or bad for shareholders? I’ll break Waters’ impending taking of the Chair of the House Financial Services Committee into two effects. The first is the fact that it reflects the new Democratic majority in the House, which in my view will make what already was a slim chance of legislative mortgage reform in the next Congress even smaller. So in that sense Waters’ personal views on Fannie and Freddie won’t have much practical impact on what happens to the companies, at least in my view. More important will be the influence the next Director of FHFA, who has yet to be named, will have on administrative reform. Waters will be a strong voice for the affordable housing community, but given that she’s on “the wrong side of the aisle” in a sharply polarized Congress I don’t know how much of an impact she will have on administrative reform either. Today there is a lot of talk about Freddie showing CCF capital ($51 B) in the earnings report. Can you explain what is CCF capital? CCF stands for Conservatorship Capital Framework. FHFA says that it developed this framework and put it in place during 2017 “to ensure that the Enterprises make prudent business decisions when pricing transactions and managing their books of business.” At this point the CCF is entirely theoretical, since the companies are not permitted to retain any significant amount of capital. I’m not sure exactly how the CCF differs from the capital rule FHFA put out in June (and upon which I commented in the current post). FHFA says that the CCF “is the foundation for FHFA’s proposed capital regulation,” which to me means that there are some differences between the two. FHFA calculated that using the capital rule as proposed, Freddie’s required capital would have been $65.9 billion as of September 30, 2017. Freddie just said in its third quarter 2018 press release that its CCF capital one year later (September 30, 2018) was only $51 billion. There were three elements in FHFA’s proposed standard that would have pushed Freddie’s capital number lower over the past year–fewer deferred tax assets, a lower average current (or mark-to-market) loan-to-value ratio on their credit guarantees, and more outstanding credit risk-transfer securities–but those shouldn’t have dropped required capital by $14 billion. (If they did, this standard is more volatile than I thought, which would make it even more problematic in the real world–to be manageable, a capital standard should be relatively stable.) So there probably are some differences I’m not aware of between the CCF and the proposed capital standard that make required capital under the latter somewhat higher. Bloomberg paints the FHFA capital proposal as a big GSE advantage, not sure I agree with this, especially if the fed mbs cat guarantee ever gets enacted. Bloomberg does point to a wide GSE “moat”, in the sense that any competitive threat from additional mbs guarantors would have to deal with a large GSE first-mover advantage. but a fed guarantee would tend to even the playing field imo. Freddie CEO Layton commented today that he believes critics of CRTs do not appreciate the efficiency of the security insofar as the capital cost savings associated with the risk transfer is not taken into account by critics (I did not listen to CC; this is from reportage). frankly I don’t understand his point. as far as I can tell, he did not discuss the abject failure of CRTs to be available when the GSEs will need them most, so there is that dimension to any analysis of CRTs which must be taken into account. but as to his cost of capital saving comment, I wonder if you have a reaction. (seems to me that if he is reacting to CRT critics, the criticism is cutting too close for comfort). …..additionally there was some mention about return on capital post conservatorship given the CCF guidelines and detailed that they would hold capital above the regulatory minimum so as to mention post conservatorship the return on capital would be lower than what has been calculated here. Seems to me there is a lot more post conservatorship discussion going on and wondered if you, Tim, are observing the same? I haven’t listened to the Layton call either. But if what he is reported to have said about Freddie’s (and Fannie’s) securitized CRTs is accurate–and I have no reason to believe it isn’t–I would have two reactions to it. For Freddie in conservatorship, the concept of “capital cost savings associated with the risk transfer” is a non sequitur: the companies have no capital. If Layton is talking about how these CRTs might work after Fannie and Freddie are released from conservatorship and given new capital requirements, I gave my criticism of this “CRT versus capital tradeoff” in the current post: FHFA is making a grave mistake in proposing to grant nearly full equity capital relief to Fannie and Freddie for every dollar of CRT securities they issue. As I explain in the post, the risk-based capital standard FHFA proposes to apply to the companies relies on the existence of surplus capital held against good books of business to cover the outsized losses on bad and very bad books. If FHFA allows this “good book” capital to disappear through ill-advised reductions for non-economic CRT issuance, the companies will not have sufficient capital to survive the stress environment they’re being asked to capitalize against. I doubt that Layton has seen my comment letter to FHFA on its capital proposal, so he probably hasn’t considered this point. But there is one more angle to this that I’m worried about, and I hope Layton isn’t referring to, and endorsing, this approach. That is where supporters of the large banks convince Treasury and FHFA to knowingly overcapitalize Fannie and Freddie (which would push up mortgage rates and give banks a wider spread on the large and growing amount of fixed-rate mortgages they hold in portfolio), and then tell Fannie and Freddie that the only way they have of reducing this unwarranted capital is by issuing non-economic CRTs that make a good deal of their unnecessary capital go away. This cynical ploy would lead low- and moderate-income homebuyers to finance either excess bank profits (if the higher-than-necessary capital remains binding on Fannie and Freddie, forcing them to artificially boost their guaranty fees) or investment banks’ capital market operations and investors’ returns (if Fannie and Freddie use the capital incentive to continue to issue non-economic CRTs that cost them, and thereby homebuyers, real money). There is a large and powerful constituency that would like to see just this scenario play out. Shining light on what they’re hoping to do, however, should make it harder for them to pull it off. No. I hadn’t seen this before, but this note strikes me as a positive effort by FHFA to help stakeholders understand the different impacts the agency’s proposed capital rule will have on Fannie and Freddie’s multifamily capital requirements, given the differences in the way they’ve structured their programs. I have not delved into the multifamily capital regulations–since multifamily is not an area where I have any particular expertise–but this table has piqued my curiosity, so I will examine the multifamily capital section more closely as soon as I can. ROLG , good morning , can you tell us a summary of the potentially meaningful events that we can expect from courts in the next few months? the next two principal near term events I would look out for are whether the 5th circuit grants a rehearing en banc on APA claim and separation of powers (relief) claim in collins (together possibly with consolidating with All-American case), and 3rd circuit opinion in hindes/jacobs. also Ps response to fhfa’s motion for reconsideration of lamberth’s decision is due soon, and I am hoping Ps file their own motion for reconsideration if not too late, and in bhatti a response by fhfa is due soon and eventually a P reply in 8th circuit, with oral arguments probably early 2019. I should add that the Ps replies to govt’s motion to dismiss Ps takings/illegal exaction/breach of contract claims are filed in the federal court of claims case (commonly referred to as fairholme case), see 11/5 page of gselinks.com site for links. I expect Judge Sweeney to deny the motion to dismiss sometime within the next 3-6 months. so this is another case development to watch out for. When must Watt legally step down? I have read that watt’s term as fhfa director ends 1/6/19. the replacement director needs to be appointed by potus and is subject to senate confirmation, but potus can “pull a cfpb”…meaning appoint a person who has already received senate confirmation…with cfpb, potus appointed OMB head mulvaney to succeed cordray…to act until another fhfa director is appointed and confirmed. I mean, you now have a judge’s ruling stipulating FHFA/UST “took” GSE’s without legal recompense and now they’re going to “take” another $100B via warrants? Seems bizarre after ruling, to me anyways. Treasury is not taking anything. They own that. I agree with your post in that you’re specifying a replacement that has senate confirmation. I have seen others state that the President can appoint anyone as interim director under the vacancies act. I don’t see that as a path under HERA absent some specific court ruling. People are reading too much into @CraigPhillipsDC's comment. They aligned w/ OMB's statements re legislative goals. He didn't suggest they would sit on their hands pending legislation. I expect administrative reform is a separate track & UST may begin work with a post Watt @FHFA. Do you share similar sentiments? Also, this could be where Bloomberg/ Asset Notification is deriving their information. this whole “revoke charters” step needing congressional approval seems to me to be misguided. Delaware corporate law is extremely liberal regarding mergers on a “foreign” (ie not Delaware) corporation with and into a Delaware corporation (see dgcl s. 252). dgcl s 371 defines foreign corporation to be any corporation not formed pursuant to the laws of Delaware (ie fed statute fits definition). I don’t see why revoking fed charters cant be accomplished administratively, such that the GSEs resulting from these mergers would have such powers as the surviving Delaware corporate charters would provide. another reason in my opinion why administrative action can be effective (it can’t accomplish fed catastrophic guarantees administratively, but that is a good thing). I think Josh’s view of Phillips’ comments is plausible, but find a straightforward interpretation of what Phillips said–that the administration advocates reform that requires legislation–to be more likely. It was Phillips’ choice to tell us that the administration advocates certain features of mortgage reform that only can be done by Congress; he easily could have stayed silent on the matter or said something noncommittal. But given what he did say, I don’t see how Treasury could spring an administrative reform proposal on us before it gives the new Congress a shot at the legislation Phillips has just told us the administration wants and supports. Wouldn’t it be entirely possible that they could run admin reform and release to settle lawsuits, capitalize on the warrants which would then jumpstart legislative reform and thus be consistent with all? Seems to me that this first step would prompt more action and compromise out of Congress. if ms waters becomes chair of the house financial services committee, I don’t see the trump administration having a lot of patience seeking to work constructively with her (and vice versa). I just think that well has been poisoned. BI (bloomberg) is out with an analyst’s piece, a link to which which I am appending below. wonder if you have been hearing some of this too. if correct, the trump administration may be getting ready to go. A number of people have called my attention to this piece. I’ve now read it three times, and haven’t found anything new or insightful in it. It’s mainly speculative, and the speculations run in different (and contradictory) directions. The author (who I don’t know and haven’t heard of) states in a section heading that “Trump’s Officially Eyeing Fannie, Freddie Payday,” but offers nothing to back up this claim. He also refers to the plan for Fannie and Freddie outlined by Craig Phillips this week as “Trump’s plan,” but again offers no evidence that the president has had any involvement with this issue (and I personally doubt that he yet has). The rest of the piece are things we all know (the Phillips plan requires legislation), points most people agree on (Congress is unlikely to act on Fannie and Freddie reform next year, and probably beyond that), and musings about what might happen then (administrative reform, but with no indications of structure or timing, or how the knotty issue of the net worth sweep and lawsuits might be tackled). So, no, I didn’t see anything in this that signaled to me that “the Trump administration may be getting ready to go” on resolving Fannie and Freddie’s indefinite conservatorship. The article of the day is the abalert article, not the Bloomberg one. I saw that one as well. It quoted “one source” (unnamed) as saying, “We are hearing that the most probable path of movement is on the administrative front, with an interim head for the FHFA who can go ahead and pursue a reform agenda without Congress needing to sign off. And they are going to act right away.” Except… how do you explain Craig Phillips’ statement on Monday at the MBA conference, laying out a plan that would have to be legislated? If people like the unnamed source in the Asset Backed Alert believe this was a deliberate head-fake they should say so. Otherwise, we have a glaring contradiction between what the most senior official to recently speak on the subject says is the Trump administration’s plan and what these analysts assert the REAL plan is. Based on the assumption the Lamberth ruling impacted the timing of the Phillips statement, safe to also assume the SCOTUS denial last Feb also dictated timing of TS delay in March. (why would UST allow/want SCOTUS anywhere near this case?) If I’m the decision maker, the math involving the unintended consequences of judicial interference just increased the probabilities additional rulings will impact the math of any reform. Lamberth dictates UST officially playing with fire and can no longer afford to sweep (ahem), NWS under rug. Time can only increase those odds, given Lamberth imo. seems to me that trump administration is dual tracking GSE reform. first track is the MBA approved plan outlined by Phillips. there are reform objectives proposed that go beyond rehabilitating GSEs, many of which require congressional action. the administration seems willing to go down this road in good faith (and could use MBA lobbying efforts to help it with congress), but any good businessman worth his salt (I will let the reader determine whether this includes trump) will have a fallback track, so as not to leave rehabbing GSEs as hostage to congressional action. this fallback track of administrative reform can be posited to congress if pursued as simply the first step of the first track, which doesn’t preempt congress from finishing the job, if it is able to do its job. Craig Phillips stated today that the administration advocates for the end of conservatorship and a return of Fannie and Freddie to private ownership. In addition he stated that their charter should be removed from statute. Since there is absolutely no chance that this gets done by congress where does that leave us? 10 more years of conservatorship? the access to a federal guarantee in this Phillips presentation certainly requires congress, but as a corporate lawyer, I don’t see any reason why the current Fannie cant merge with and into a fnma, a Delaware corporation, such that the survivor is state chartered with whatever treasury/fhfa wants to see in that state corporate charter. Phillips’ proposal for the secondary mortgage market has four main components, similar to what has been proposed by the MBA: removing Fannie and Freddie from conservatorship, revising their charters, authorizing additional credit guarantors and giving all credit guarantors access to a paid-for explicit government guaranty. The last three require legislation, however, which strongly suggests that the administration is going to make a serious post-midterm election run at mortgage reform legislation. If it does, it should not take long before we know whether the new legislative proposal suffers the same fate as previous proposals, and does not move forward. In that case, the administration will face a choice. Should it simply stick with the status quo (sweeping Fannie and Freddie’s profits) until Congress gives it what it and the MBA are asking for? That might have been a reasonable choice a few weeks ago, but it now will run the risk of an adverse ruling in the breach of implied covenant case Judge Lamberth has cleared to go to trial in his court. David Thompson of Cooper & Kirk estimates this trial will begin no later than the end of 2020. Given that, I would guess that if the next Congress balks at passing a bank-friendly mortgage reform bill, Treasury and the administration will get serious about settling the lawsuits, removing Fannie and Freddie from conservatorship, and planning for their recapitalization well before the breach of implied covenant claim is argued in Lamberth’s court. Hi Tim. Thank you for your input. Did I read correctly that it could take over 2 years before that trial even begins? two years until start of trial seems to build in a very long time for discovery, and since fairholme’s discovery from the court of federal claims case is available to these Ps (and lawyers), it seems Ps could push discovery quickly, if they want to. they know the lay of the discovery land. but my question is whether this two year estimate builds in time for interlocutory appeals by both parties. if so, then two years is likely. it is not clear to me that lamberth has to grant the parties the right to appeal his order on Ds motion to dismiss, but he may want to just to keep his docket manageable. Plaintiffs counsel is just beginning negotiations with the government about the scope and extent of discovery (remember, the time frame for the discovery granted by Sweeney was limited, and plaintiffs would like to broaden that for the Lamberth case), but figure about a year for discovery, summary judgment briefing then taking about three months and–assuming Lamberth follows his past practice of waiting until the very end of the six-month period to rule on the summary judgment motion–trial beginning in about two years. What is your opinion about having other guarantors ? FHFA says that too many would ensure a race to the bottom. I suppose they mean diminish the quality of the loans that they buy? On the other hand small lenders say that vertically integrated guarantors would put them out of business. Can you tell us your view ? In reality my view on multiple guarantors isn’t going to matter–if the administration gets what appears to be its wish on legislation the result will be to permit multiple guarantors; if legislation does not move forward (which would be my bet), then administrative reform will need to accept the two guarantors we now have, Fannie and Freddie. Personally, I don’t see any compelling arguments for additional credit guarantors, and think that providing for their creation will make the administration’s legislative proposal unnecessarily complex, and reduce its (already slim) chance of success. Thank you both Rolg and Tim. I was hoping that was a mistake, but your explanation makes clear it was not. Perhaps I’ll see my investment bear fruit before I die. Stay strong all. while Justice Kavanugh leads the vanguard of separation of powers analysis that would hold fhfa unconstitutionally structured, he is also a proponent of severing unconstitutional terms. whether he would vote for relief to Ps in connection with any ruling (voiding NWS) is uncertain, though the Bowsher case recently unearthed by Cooper & Kirk and the Lucia case would seem to so provide. Good morning. The Lamberth ruling seems to be interpreted as an overly positive development. You have mentioned multiple times in the past that you believe a legal catalyst is necessary before the Trump Administration acts. Do you think the Lamberth ruling that sends this to trial is worthy of being that catalyst? It seems that the government would dread the facts being presented in that scenario and might be willing to settle before reaching that point in time. The Lamberth ruling could well turn out to be the catalyst that prods the administration into resolving the indefinite conservatorship of Fannie and Freddie, one way or another. I wouldn’t go so far as to predict that it will be, but having the facts of the net worth sweep laid out in front of a jury can’t be an appetizing prospect for Treasury to contemplate. Discovery produced for the Sweeney court makes clear that it knew the companies were about to have a surge in profitability when it “agreed” to the net worth sweep with FHFA–indeed, Treasury officials are on record as admitting that the sweep was done to prevent Fannie and Freddie from rebuilding capital, and Treasury then knowingly offered a false version of its rationale to the public. That’s an easy story for a jury to understand, and it doesn’t work in Treasury’s favor. In 2008, Gov needed a vehicle to save some big firms and economy. GSES could be a perfect tool. They might have some difficulty too. Paulson smartly exaggerated their situation, took over, used them to save others. He could have achieved everything by offering GSEs a big credit line. However, destroying GSEs was one of the goals. I guess if 5th circuit doesn’t satisfy plaintiffs (CFPB and FHFA foes), they will go to SCOTUS. I personally prefer a SCOTUS decision, which affects all relevant lawsuits. Tim – per tonight’s Lamberth ruling – It looks like plaintiffs wanted all stock purchases (at any time) to apply, defendants wanted Aug 2012 as the cutoff date BUT Lamberth is going with the date of initial conservatorship September 2008? It looks very confusing to say the least as to which shareholders would benefit. So now that this is going to trial & assuming the Plaintiffs win, do all “past and future” shareholders benefit or only historical shareholders (pre 2012 / pre 2008)?? In DC Appeal initial decision, it treated purchasers before and post 3rd Amendment differently. Later it changed after plaintiff’s protest. I don’t think Royce will repeat same mistake. I’m not a lawyer, but the way I understood the ruling is the basis of expectations of fair conduct should be set on the date of the conservatorship starting, not on the day of the issuance or the day of NWS. Then judge proceeds to evaluate the claims of violation of implied good faith covenant assuming the expectations changed on the day of the coservatorship being enacted, and arrives to the conclusion that conservatorship didn’t remove the good faith negotiations, merely temporarily suspending divvies, not permanent denial of divvies and liquidation preference being a temporary state. I even saw the discussion of rights traveling with the shares from holder to holder. I think you are misreading the point in time where expectations changed, and judge set it at the beginning of the conservatorship. Maybe I’m wrong, but this is what I’ve read. Judge Lamberth’s decision is excellent news for GSE shareholders overall because he blasted a hole in FHFA’s seemingly impenetrable wall that says it can do whatever it wants to do without accountability to anyone. GSE shareholder claims for breach of the covenants of good faith and fair dealing are moving forward. FHFA will, no doubt, attempt to appeal that ruling. That attempt to appeal an interlocutory order should be denied, but is not guaranteed. But Judge Lamberth has interjected confusion into the marketplace by talking about differences among shareholders based on the dates they acquired their shares and their reasonable expectations. I believe he’s describing a myth with superficial appeal that has no basis in fact, law, or common sense. A shareholder’s rights against the GSEs were fixed when the GSEs issued their securities. When a share of stock is bought and sold in the secondary market, the same bundle of rights attaching to that security at the time of issuance are transferred and delivered. Rights and interests do not mutate based in the identity of the current holder of a security. A current shareholder does not own a fraction of what some prior shareholder owned. James Madison tried in 1789 to unwind the bundle of rights Revolutionary War debt certificate holders owned in order to be, in his view, fairer to more people. He failed. Alexander Hamilton’s monetary policy paid all principal and accrued interest owed on any certificate to the record holder. This model is followed every day in the resolution of claims against bankrupt companies. There’s nothing in American jurisprudence — except whining — to support the proposition that shareholders or creditors are treated differently based on their subjective qualitative characteristics. Shareholder and creditor rights are based on contractual terms and American courts are agnostic about whether the shareholder or creditor is nice, wealthy, a member of any particular ethnic group, politically active, subscribes to any particular creed, is fat or skinny or fit, or prefers to use pencils rather than pens. I do not see such confusion. Lamberth has made clear rights and claims travel along. As such, the rights and claims in existence in 08′ at the outset of conservatorship and the rights and claims at the signature of the net worth sweep are identical to those that existed at issuance of shares: rights to dividends, rights to liquidation preference and claims arising from breaches. His distinction is in regards to expectations. Here, he says they are not always the same because change may happen due to corporate contracts being flexible by nature so expectations are inherently related to the *time they exist*. Perhaps, new laws are introduced, corporate agreements may change or other changes may take place in the marketplace that alter investors’ expectations from that point on. In his ruling, he sets a time frame where meaningful change has occurred. This is when HERA was signed into law, FHFA was appointed conservator and the PSPAs agreements were set. When dealing with this specific change he arrives at the conclusion that expectations did not materially change -and although he did not write it this way-, his ruling agrees that investors buying in that time frame had solid reasons to expect the same basic thing of those who bought at original issuance: that companies would remain private and that they would return to normal business operations. In other words, that nothing would permanently or radically change. And the net worth sweep stopped short this expectations for all pre-sweep buyers: pre-2012, pre-2008 and at issuance. And since claims are inseparably attached, all post-sweep buyers carry the claims of breach of implied covenants indefinitely. His ruling, or the way I read it regarding the breach of implied covenants, is crystal clear and very beneficial to all past, present and future holders of Jr. preferred shares. There is no confusion. this is well put and I would only add to this by pointing out that the whole notion of “getting to a jury” is an important consequence of this opinion. while juries are one of the most impressive aspects of our civic society/culture, they are unpredictable and that is not good for a defendant. this will be an extremely complicated financial trial that both Ps and Ds will try to simplify, and the fear from the defendants’ perspective is that the case will be simplified by Ps in the jury’s mind into simply whether what the govt has done was fair. If the jury converts all of the financial details into a more understandable morality play, this is not good for Ds as the norms of fair dealing are something that jurors do understand quite well from everyday life. Curious on your opinion on today’s Lamberth ruling. Thanks and always appreciate your insight. I read the opinion once and I am thoroughly confused, because I find lamberth’s ability to analyze and decide questions of Delaware corporate law to be utterly inept. as far as I can tell, shareholder expectations run with the certificate so that postNWS acquiring shareholders are not precluded from asserting selling preNWS claims, and that the reasonableness of the NWS can be assessed based upon expectations that were generated during conservatorship, not just as of 2008. I am sure of none of this because the opinion seems to hem and haw about much of this, in almost novelistic fashion. lambeth’s analysis of the legality of the NWS dividend that precludes junior and common dividends under Delaware law (the hindes/jacobs argument) is an embarrassment. this should be appealed asap. but at least there will be a trial. on second reading, I have a more charitable view of the opinion. lamberth opens the door at trial to admit the presentation by Ps of all of the fairholm discovery that permits Ps to show that “at the nascent of a sustained period of profitability, Plaintiff would have reasonably expected the GSEs to be moving out of conservatorship, not doubling down by executing the Net Worth Sweep”. as I recall Ps have asked for a jury trial. so lamberth is going to allow Ps to argue to the jury that at precisely the time the NWS was adopted, Ps had an expectation of profitability that the government frustrated under the guise of the death spiral, and a jury will make this factual determination. this harkens back to lambeth’s original opinion at the end, where he surmised that his opinion might cause consternation…there is now a pathway for that consternation to switch from Ps to Ds. I read the opinion last night, and had both of the reactions you did. I found Lamberth’s reasons for dismissing the charge of violating Delaware law to be very weak, the reprise of his view that plaintiffs’ breach of fiduciary duty charge is precluded by HERA to be a gross misreading of the statute (as in his previous ruling), and his arguments for dismissing the breach of contract claims unpersuasive. But…Lamberth somehow found his way to the right answer on the breach of implied covenant charges, and once he did it opened to door to finally allowing facts to make their way into the case. One of my great frustrations in previous rulings has been judges’ uniform tendency to preface their dubious legal rulings with a misrepresentation of the facts, as if the depiction of the plaintiffs as greedy shareholders of failed companies saved by Treasury now wanting to cash in on the results of Treasury’s heroic efforts somehow was relevant to how to interpret the law in these cases. But here, in the breach of implied covenant charge, the facts will actually matter, and they overwhelmingly support plaintiffs’ position. So having this claim go to a jury is in my view a very positive development. And the rulings on the other three claims can be (and in the case of the Delaware ruling, should be) appealed. there was a catch 22 element to lambeth’s holding that NWS didn’t violate the preferential relation that preferred dividends must bear to junior dividends under DGCL 151, in that lamberth (correctly) stated that Ps could point to no precedent supporting the claim of invalidity….because the NWS dividends presents a case of first impression. I firmly believe that Hamish Hume should appeal this holding to dc circuit arguing that when a federal judge tries to interpret state law in a case of first impression in an area of law as nuanced and specialized as Delaware corporate law, the dc circuit should seek to obtain an advisory opinion of the Delaware Supreme Court upon which it and the federal district court might rely. Agreed. The absence of case law on the legality of a preferred security that appropriates for itself all of a company’s net income can plausibly be explained by the fact that no entity ever has been so brazen as to issue such a security before, because it so obviously does violate Delaware law. Thanks for your feedback, rolg. Am I wrong, or there is “may”/”shall” moment in Lamberth ruling with regard that NWS is permanent while the conservatorship is temporary. The government couldn’t permanently deny the divvies and liquidation preferences while they operate a temporary conservatorship. Lamberth glances over it, but makes this point, but on second reading, it struck me as an important point. you point to an interesting element of lambeth’s reasoning (and part of the frustration I have had reading his opinions is that it seems he is reasoning to a legal conclusion in the act of writing the opinion). as you point out, lamberth notes that it was a reasonable expectation for a GSE shareholder to believe pre-NWS that conservatorship would be temporary, which is inconsistent with the nationalization effect (my words) of the NWS. along this line, P’s counsel could argue to the jury that while it could be expected by an investor that treasury might foreclose dividends to others and institute a sweep dividend to treasury ONLY FOR SO LONG AS treasury remained to be paid its 10% dividend and repaid its preference that was in effect re-NWS, no reasonable investor could have foreseen a sweep dividend to treasury in perpetuity that eliminates all other shareholder interests, far beyond the point when treasury was repaid…again, since conservatorship was intended to be temporary, why institute a sweep beyond the time necessary to get treasury repaid and the GSEs out of conservatorship. this line of argument by P counsel to a jury (peppered with some assertions of bad faith that could have foundation in some of the fairholme discovery…and even the prospect of fellow travelers such as mr parrott testifying at trial) should all be fair game and allowed in by lamberth given this aspect of the opinion that you have highlighted. this is all red meat for a competent trial attorney. What kind of remedies can be expected? Can be a relief such as an order to suspend the NWS ? and apply the credit to retirement of SP ? or only monetary compensation ? and if it is only a monetary compensation, to which shareholders current or prior to what event? compensatory relief to current shareholders in an amount determined by the jury. judge would probably ask parties how to structure payment (reduction of senior preferred or payment of money, but failing agreement, cash on the barrelhead). What are the next steps? Do they have to appeal first before moving forward for trial or can they move forward for trial on the part that they were granted while waiting for an answer from the appeals court on those aspects that they would appeal? What is the process to move forward with this case to trial and timing? I am not an expert on the federal rules of civil procedure relating to interlocutory appeals. however it is my understanding that both P and D can request that lamberth certify an interlocutory appeal, which he can deny, since the bases for an interlocutory appeal as of right are not present. if interlocutory appeal, will they see the three judges? One has retired. In a recent conversation with institutional investors of MBS they said a couple of things that I want to pass along to get your observation. When asked about the current state of the twins they mentioned that a likely outcome is an explicit guarantee which would certainly increase the value of legacy paper. They said that the CRTs actually do transfer risk as evidenced by that paper trading in the first loss position in advance of hurricane Florence. But again there would be no demand for that paper if there were some kind of system-wide crisis. It was also their opinion that with the common security being rolled out in 2019 the system was clearly moving towards Ginnie Mae meaning that Fannie and Freddie would likely be folded into them and this would be the final backstop to the system. When asked about the first loss position, private capital and multiple guarantors they said that this would come from the likes of MGIC (Zandi), Radian, et al. In this scenario there wouldn’t be a recap of private capital of the twins as first loss and the Treasury would be forgoing the value of the warrants and still have lawsuit exposure. Had to paraphrase some but hadn’t thought about all of it this was and wondered if you cared to opine? Fannie and Freddie are not going to get rolled into Ginnie Mae for a host of reasons. But the largest and plainest is: this requires a Congressional vote, and that particular vote count doesn’t exist today and never will. – I’m not surprised that holders of legacy MBS would like to see the MBS Fannie and Freddie issue in the future carry an explicit government guaranty, but that would require legislation, which is highly unlikely in the near term, and unlikely (at best) even in the intermediate to long term. – I agree that CRT securities do transfer risk; the problem I have with them (and I believe Fannie and Freddie, if they were making the decisions to issue these securities themselves, also would have with them) is that most of the risk they transfer is very remote (i.e., highly unlikely to turn into actual credit losses, given the quality of the books of business that underlie them), and this remote credit protection is extremely expensive. Moreover, if as the MBS investors seem to believe (and I certainly do believe) the market for CRTs will dry up when the outlook for home prices becomes uncertain, programatic CRT issuance will turn out to cost Fannie and Freddie far more in interest payments than it returns in transferred credit losses. – The common security does not address the primary challenge of “folding Fannie and Freddie” into Ginnie Mae, as is proposed in the Hensarling bill. Ginnie Mae basically wraps government-insured FHA and VA loans; to apply the Ginnie Mae model to the conventional mortgage market you’ll need credit guarantors to insure the loans Ginnie guarantees. Who will these credit guarantors be, and how will they become capitalized? Those who claim the mortgage insurance industry can perform the function Fannie and Freddie now do must not be aware that the aggregate capitalization of the MI industry is only about $10 billion. The Moelis plan contemplates recapitalizing Fannie and Freddie at about $150 billion. This sort of glaring difference between theory and fact is typical of recent legislative reform proposals, and has helped to keep them from going anywhere. I would only add to what Tim said that it is convenient for these institutional investors to conclude that treasury would forgo $100B or so of value represented by its warrant position in a recapitalized FnF. as sen. Dirksen once said, a billion here and a billion there and pretty soon you are talking about real money. but given inflation, I suppose it is now $100B here and there. since this isn’t the mbs institutional investors’ money I suppose it’s easy come easy go, but it strains credulity. This, I find, excruciatingly painful. Please comment on narrative and I hope you’ll speculate on why he’s even being interviewed. I’ll start with your second question–why Hank Paulson continues to be interviewed. All you have to do is observe the look of reverence and adoration on Maria Bartiromo’s face as he is giving fictitious answers to her questions about Fannie and Freddie to understand that: he was Treasury Secretary during the crisis, so he has unquestioned standing and credibility with the financial media. I fault the media for having done no serious reporting on what Treasury actually was doing leading up to its takeover of Fannie and Freddie. Paulson says, “When [Fannie and Freddie] began to implode, it could have been a disaster if we had not come up with a way to stabilize them.” Fannie and Freddie did not “implode;” the PLS market did. And in the amicus curiae brief I did for the Jacobs-Hindes case, I laid out a series of known actions and events that are completely consistent with a planned seizure of Fannie and Freddie and totally inconsistent with a “rescue.” But nobody reported on that then, and nobody is reporting on it now. So Paulson can continue to tell a made-up story about Treasury’s role with Fannie and Freddie during the crisis, while interviewers such as Ms. Bartiromo gaze mutely in wonderment as he does so. So do we think that Maria legitimately is in the dark or is she in on the joke? Either way the answer is very, very troubling. Maybe Maria is just that bad at her job? I don’t think Ms. Bartiromo is either “in on the joke” or “bad at her job.” I think there is a very strong pro-Financial Establishment bias to the financial news media–linked to the phenomenon of “access journalism,” whereby if a journalist writes articles that contradict what influential people or companies want the public to believe, they lose access to those people or companies for future stories–and this causes reporters to not want to be one to publicize (known) facts that run counter to the preferred narrative of the Financial Establishment, hoping that someone else will do it instead. Of course, no one does. The false narrative thus gets into the “water system,” and stays there for other journalists, like Bartiromo, to draw upon in their own reporting. This is exactly the conclusion I’ve come to. I just wanted to make sure I wasn’t the only one. Maybe you should pin a comment to the above interview, along with the Jacobs-Hindes amicus curiae. 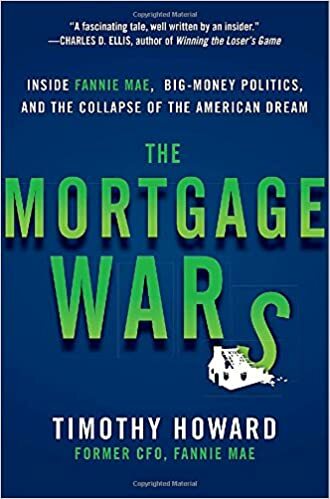 Just a suggestion to try to purge some of the poisonous lies that have corrupted the narative and reversed the facts to benefit the banks, by falsely blaming the GSEs. A victory contrary to other courts. The practical reality here is that the government effectively controls Fannie Mae and Freddie Mac permanently. The government appoints all of the members of the GSEs’ boards of directors and controls every operational aspect of the entities. It owns all of the GSEs’ senior preferred stock and owns warrants to purchase 79.9% of their common stock. The government does not allow the GSEs to pay dividends to shareholders; rather, they must be paid directly into the U.S. Treasury. Indeed, to date the GSEs have paid more into the Treasury than they received in the 2008 bailout. But perhaps most important is the unchecked control the government has over the duration of its total takeover of the GSEs. Absent an act of Congress, the conservatorship will only end in one of two ways: the director of FHFA can decide to end the conservatorship, or it can appoint FHFA receiver, whereupon FHFA will retain control of the GSEs as receiver. Either way, the decision to end the conservatorship is left entirely to the discretion of the government. This is “worlds apart” from other scenarios in which the Supreme Court has found or suggested government control is only temporary…. Thanks for providing the link. I know there is always danger is ‘cherry-picking’ elements that confirm my current biases and beliefs, but I was impressed with this judge’s order. I’ve always been dismayed and appalled at the path many of these GSE related cases took post the Lamberth ruling given his desire to focus (or hide behind) on the word “may” (that essentially FHFA may be a conservator, may be a receiver or may be anything else it wishes to be!). I felt he was just looking for a way to side step basic common sense. Lamberth’s ruling displayed either an unwillingness to rule against the government (either he just didn’t want to be the one to bring the hammer down or he has biases that were driving some political ideology regarding the GSEs, or he lacks the “practical reality” of understanding the true differences between a conservator and a receiver). Judge Lamberth was appointed by Reagan as was Douglas Ginsburg. All the appointees of the Reagan era were chosen by Peter Wallison who was the White House Counsel. this case has relevance to the fairholme case in federal court of claims before j. Sweeney. either fhfa needs to be a federal/govtal actor or it must be found to have been acting in concert with treasury for the takings/illegal exaction claims to proceed. while the latter should be provable based upon discovery, having one federal court find the former is most helpful. the other point of relevance is that we have finally found a federal judge to think independently and with judicial courage. whether he is the first of more to come or the one and only is something we will see. If I live in RI, I would file a lawsuit there. The court has two judges. @q. the statute of limitations has run-on the entering into the NWS. query, though, whether a new action could be filed within the statute of limitations claiming each sweep under the NWS is invalid. Is it your opinion that CRTs will never be an actual useful tool for Fannie or Freddie? It would seem that the answer is yes, yet FHFA seems hell bent on continuing the programs. Why do they continue to mandate these securities if they’re a net negative to the companies they are charged with conserving and preserving? Yes. I believe securitized CRTs never will be economic for Fannie and Freddie as a means of managing their credit risk: it is a virtual certainty that from the day either company issued their first CAS or STACR securities for as long as they continue these programs, the cumulative amount of interest payments they make on their CRTs will exceed–very likely by a great margin–the cumulative dollar amount of credit losses they are able to transfer to the buyers of these securities, for the reasons I gave in my comment to FHFA. But this will change if and when Fannie and Freddie are released from conservatorship and allowed to recapitalize (with the net worth sweep declared null and void or cancelled). When the companies have a true risk-based capital standard to which they are required to adhere, allowing them to substitute contingent CRT risk transfers for hard equity by giving them capital credits for CRTs–as FHFA does in its current capital proposal–runs the real risk of leaving them with insufficient equity capital to absorb the credit losses they could experience in the next crisis. I hope FHFA understands this: a “safety and soundness” regulator should not be promoting policies that make the entities they regulate LESS safe and sound. I’ll give Dave Stevens credit for not repeating the fictions that Fannie and Freddie caused the financial crisis, and that their “failed business model” must be replaced to preserve the financial system. I know he doesn’t believe either of those things is true. Fannie, when I was there, purchased only “super-senior” tranches of PLS, and if any of those tranches suffered actual principal losses I never heard it. In any event, Fannie and Freddie are now not permitted to do this business in their portfolios. Giving price discounts to large sellers for promised volume is standard practice in many businesses, but Fannie and Freddie now don’t do this. I’ll invoke the “pots and kettles” clause on Dave’s objection to the “GSEs’…enormous lobby network,” while noting that Fannie and Freddie’s lobbying was neutered post-conservatorship while the banks’ was not. And beyond the fact that “essentially ‘no-bid’” has no meaning (‘no-bid’ is an absolute, which can’t have a modifier), even if one of the companies did threaten a “no-bid” the victim still could (and in fact, in the case Dave cites, did) go to the other one. Gee, I just told him to enjoy Europe when he goes there on vacation. Your comments are so much better!! I’m of course talking about a Utility model. This whole situation is analogous to people who wanted to continue to fight the civil war instead of reconciling and rebuilding for the good of the country. I don’t read Dave’s comments the way you do; I think he’s just using the overheated language to try to make what are pretty minor transgressions (in the larger scheme of things) seem important enough to warrant replacing Fannie and Freddie with the banks’ preferred alternative. There is a reason why he is stepping down….same reason as corker and hensnraling…because they lack common sense! they tried hard to sell a solution for a problem that the rest of Congress couldn’t find. Unfortunately neither can congress find a problem with HERA. The nation , most of all the middle class Americans who build their capital nest through their homes, stakeholders in the mortgage industry owes you for this objective analysis and recommendations. I wonder exactly how this works. If I’m Goldman Sachs, and suddenly realize before anyone else that the market is going to crash, can I send all of my CRTs back to Fannie and Freddie and exit my positions? No.The point I am making is that the investor base for CRT securities can (and will) stop purchasing NEW issues of CRTs when they become concerned that the total credit loss transfers on these new securities might exceed their cumulative interest payments. Investors in previously issued CRTs cannot avoid whatever credit loss transfers Fannie or Freddie are permitted to transfer to them based on the structure of the securities (because the companies deduct those losses from the final principal payment due to investors at the scheduled maturity of the CRT). I wonder how deep and resilient the CRT market is. during FC a lot of the buyers for mbs were institutional investors who were sold mbs by TBTF banks, working together with “in-the-know” hedge funds often when a counterparty was needed to create the mbs derivative. these buyers were often “dumb;” as in international and without credit expertise. while I don’t have current personal market intel, I would think that a highly structured security like the CRT would turn off a lot of those institutional investors who don’t have the in-house modeling staff…assuming there is any institutional memory among these investors. if I am right, then for so long as things go well, there is a buyer’s market comprising credit hedge funds with in-house modeling capacity (probably far better than fhfa as seller, which brings to mind Buffett’s quote about not knowing who the patsy is when you sit down to a poker table), and at the slightest whiff of stress, these buyers will disappear and the normal universe of “dumb” buyers won’t be there to pick up the slack. interestingly, I have never read any analysis or commentary by fhfa/treasury as to the depth and reliability of this market which they so depend upon currently. Hope the bureaucrats at FHFA have the financial skills to understand the details. Hope FHFA’s boss allows them. New FHFA boss selection will be a nice tea leaf, no doubt about that. I think some people at FHFA may have the financial skills to understand the details but I doubt Congress ( members and staffers) will understand at first reading. They are not supposed to be experts in the field and they are not. It is not criticism, but I know one Senator that does not know what “basis point” means. He is very capable but he is not a financial guy and he does not belong in the financial commission but he still would have to vote any reform if sometime Congress votes. I wonder how many are in the same condition. It would be great if Tim can write a summarized version in the fashion of the books “for dummies”. While Tim exposes an extraordinary and well documented work, others limit themselves to repeat the leitmotifs of the propaganda against GSE such as: ” failed business model” or “taxpayer protection” without being able to back their words with facts. Yet propaganda works. It is easier to take it for true than to do a research homework. Also there is a problem of “social acceptance” : people will rather repeat what their peers are saying than facing them with opposition. Unfortunately this works even in the level of discerning minds such as judges and congressmen. A version “for dummies” of Tim’s proposal for capital, showing how much money (not basis points) a home buyer would have to pay, would make a great contribution to the people of America. I hope Tim does it. There certainly is a role for a simplified version of my critique of the FHFA capital proposal, but I thought the first priority was to write a version aimed at those at FHFA who wrote it, and those stakeholders who understand enough about the proposal to comment on it. I have, I think, a unique perspective on the FHFA proposal. As I mentioned in my comment, I helped develop the original Fannie and Freddie risk-based capital standard (along with Paul Volcker), and as CFO of Fannie lived with it as a regulatee for twelve years. It’s really fundamentally different from the capital standard applied to any other financial institutions. Pretty much everyone who has been talking to FHFA about Fannie and Freddie capital knows and understands the banks’ Basel III capital framework–and for reasons having nothing to do with keeping credit guaranty costs affordable for the average homebuyer advocates the application of bank-like standards to Fannie and Freddie–but in addition to that virtually nobody who’s talking to FHFA, and I suspect few at FHFA itself, have much of an understanding of the dynamics of the asset-level risk-based standard FHFA is proposing to apply to the companies. For that reason, FHFA has made some serious mistakes, which I’ve tried to point out in my comment. The fact that the authors would propose tying the companies’ required single-family risk-based capital to the market values of their loans–which would be calamitous if they actually did it–makes clear that they don’t really understand how a true risk-based standard works. This lack of understanding leads to other mistakes, including adding elements of conservatism that they think are cushions but in the real world can’t be used that way–they’ll only increase the cost of credit guarantees–or proposing to give capital credit to CRTs issued against very high quality books of business that would drain capital the risk-based stress test assumes will be available to cover losses on the bad and very bad books. I wanted to make sure in my comment that I was “blisteringly clear” these are problems, to get the attention of the people who are in a position to fix, or support fixing, them. I also intend to do in-person followup work with many of these people to help them better understand the nuances of the standard. This really is a different exercise from the “Fannie and Freddie Capital for Dummies” that might be appropriate for Congress. If and when Congress looks like it might be able to legislate something–and that time is not yet upon us–I agree that the simplified version of my capital critique will be the only effective way to reach that audience. Thanks for your comment. Of course, I always thought of the version for dummies as a secondary work to reach broader audience but never to replace the indispensable and absolutely necessary first version. Great Job ! I’ve already shared with Tim my opinion (very, very positive) of his capital letter to the FHFA. Others who like it can help by sharing it with Senators and Members of Congress–especially on the two Financial Services Committees–and the real estate media, highlighting–because few of them will know or understand the issues–the principles TH established and why they are important. Bureaucrats love excessive capital because it gives them CYA material. But one thing is clear, the higher they make capital costs the more costly GSE mortgages will be. I am preparing to share Tim’s opinion with my Senators and Congressman in Nebraska. Is there any preparatory order I should follow when submitting Tim’s proposal to simplify the process? You can send the same cover to each of the two Senators and your Congressman, or if you are sending your opinion to all who serve on both Financial Services Committees. Make it your own testimony of what could happen in your community (about which they care) to you and other constituents, i.e. possibly less available or more expensive home financing. Offer to follow up with their staff if they want/need further information and then stay in touch with the office or the named staffer. If you happen to encounter a financially smart staff person, recommend Tim’s blog (or his book) for additional background. Remember, what they don’t want to see is bad things happening back home–to their voters–from their inaction or ignorance, so as best you can lcoalize it. I’ve tweeted Ben Sasse a few times on #fanniegate. Maybe he’s paying attention. Good Job Tim! There is no substitute for experience. Not only yours but Volcker’s as well. Plus the time tested record of the GSE. Facts! History! No experimental models, lets stick with the historical facts. You’re a wealth of knowledge Tim. Appreciate you sharing it with us all. My favorite kind of person. Do you know if Mr. Raines has submitted or plans to submit a comment on capital proposal as well? Frank will not be submitting a comment.